A band to evoke memories. From about 1965-1968, Pink Floyd were a a quirky group whose main creative force was the almost mythical Syd Barrett. The other band members were Roger Waters, Nick Mason and Richard Wright. "Arnold Layne" , "Bike" and "See Emily Play" are wonderful tracks, the first two really showing Syd at his lyrical best. As a kid, I remembered "See Emily Play" but did not know who it was by. Syd Barrett's story is well documented, drug use screwed him up and he was dumped by the other band members because of his increasing unreliability (actually they just didn't pick him him up one day on the way to a gig). 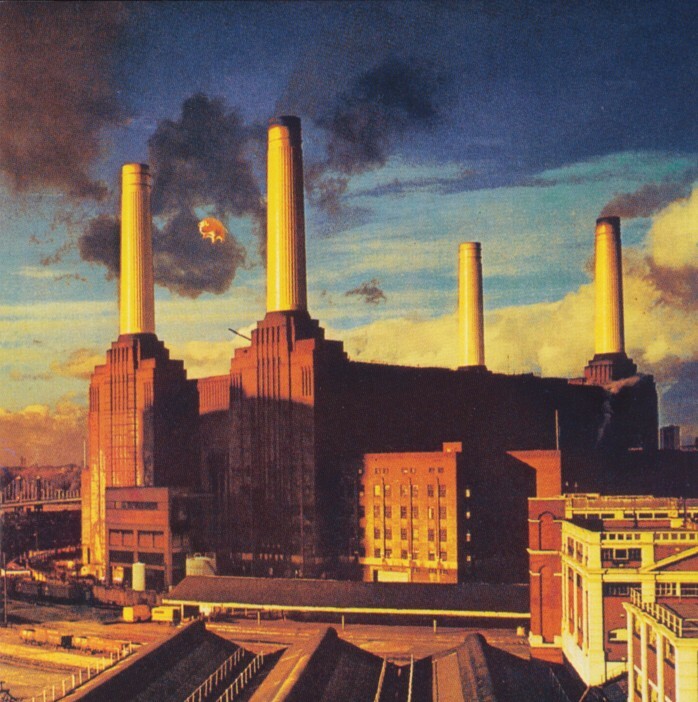 Only "Jugband Blues" (I think one of Syd's best) made it onto the second Pink Floyd album, "A Saucerful of Secrets"
With unconfirmed stories of mental health problems, Syd withdrew from music and public life and lived as a recluse in Cambridge where he died of pancreatic cancer in 2006. Syd Barrett's contribution to the Pink Floyd story should not be underestimated. His influence and the band's memory of him feature on many of Pink Floyd's biggest and most popular tracks. "He was one of the great rock 'n' roll tragedies. He was one of the most talented people and could have given a fantastic amount. He really could write songs and if he had stayed right, could have beaten Ray Davies at his own game." Post Syd - a way forward... but which way ?? Original band members Roger Waters, Nick Mason and Richard Wright carried on, together with Syd Barrett's old school mate David Gilmour (who had been brought in to cover for Syd during his unreliable spells). 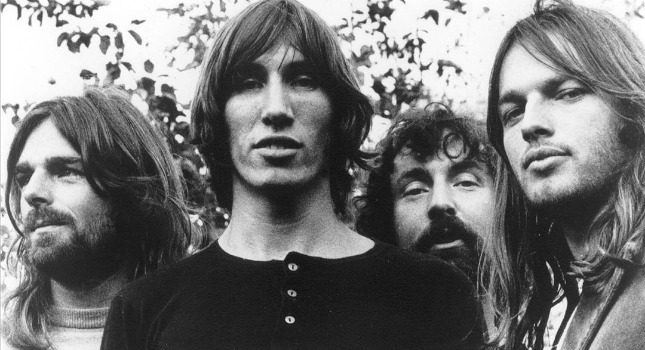 The album "Ummagumma" appeared in 1969 and is notable for it's live versions of "Astronomy Domine" and "Set The Controls To The Heart of the Sun". 1970 produced the album "Atom Heart Mother" notable only for the wonderfully titled "Alan's Psychedelic Breakfast". 1971 saw the release of "Meddle" contains two favourite tracks of mine, the almost-instrumental "One of These Days" and also the 23 minute long "Echoes". In 1972, "Obscured by Clouds" was released, based in the main on a film soundtrack the band had produced. 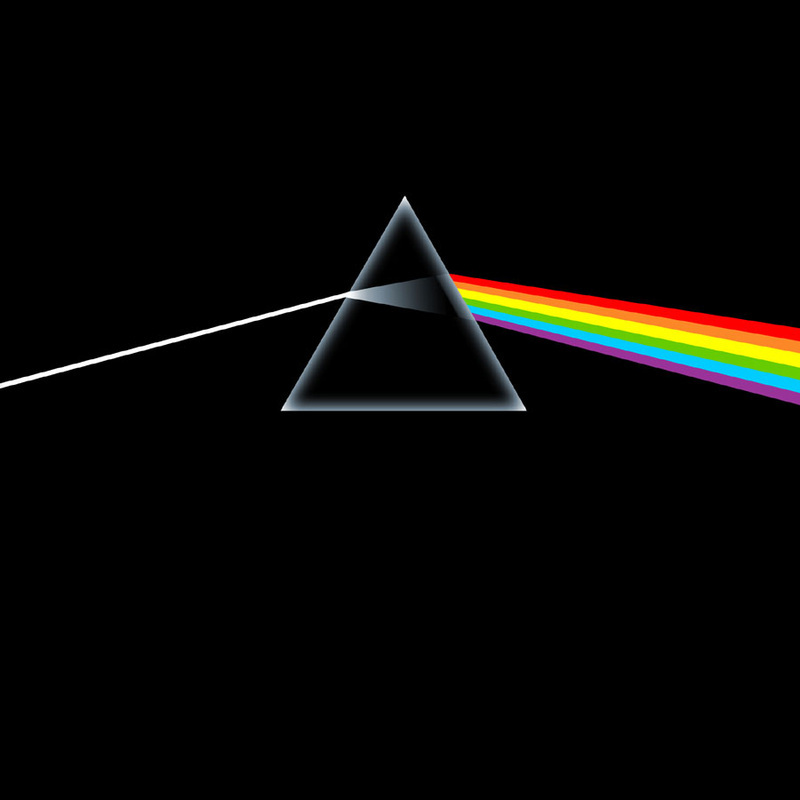 1973 saw the start of Pink Floyd's rise to mega-stardom with the release of "Dark Side Of The Moon"
Dark Side of The Moon crept into my psyche when my Dad borrowed it from a friend of his and recorded the LP onto a reel-to-reel tape. 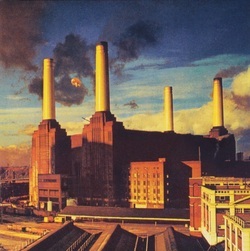 "Us and Them", "The Great Gig In The Sky"
Themes on the record include conflict, greed, the passage of time, and mental illness, the latter partly inspired by Syd Barrett's deteriorating mental state. 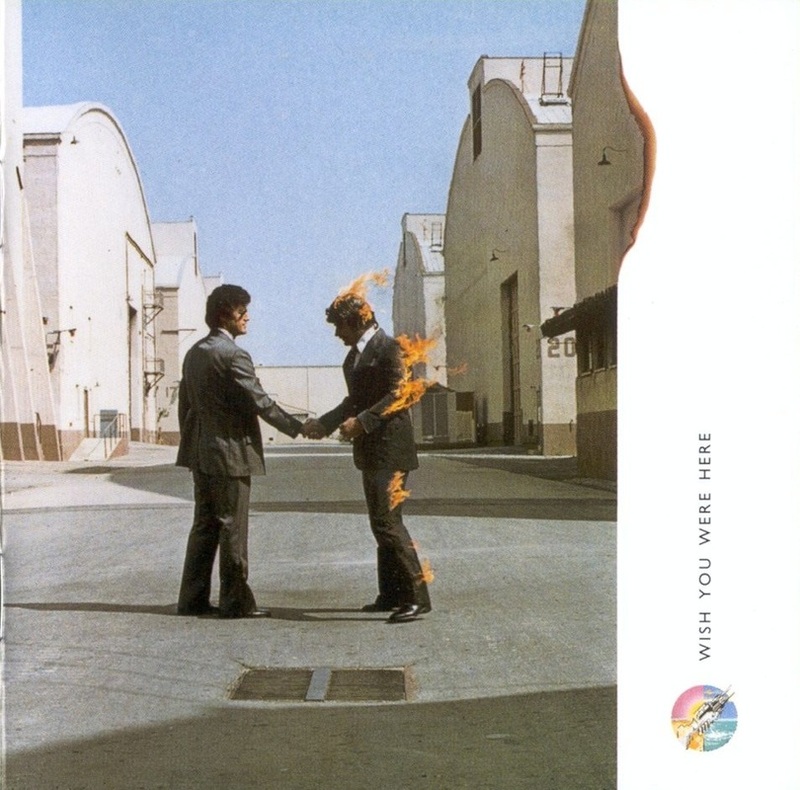 1975 came with perhaps my favourite Pink Floyd album, "Wish You Were Here". The centre piece of the album is the epic "Shine On You Crazy Diamond" - a tribute to Syd Barrett who strangely turned up at the Abbey Road Studios out of the blue as they were recording it. Very sadly, he was unrecognisable to some of the band. In 1977 came the social critique "Animals", based loosely on some of George Orwell's Animal Farm. 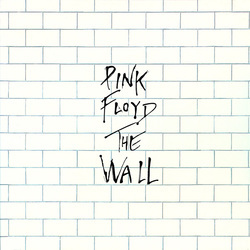 Released in 1979, "The Wall" is in my view, the last great Floyd album. Very much a Roger Walters driven project covering abandonment and isolation. The main character, Pink has elements of himself and also Syd Barrett. It spawned a film by Alan Parker and several spectacular live shows. I saw Pink Floyd play The Wall at Earls Court. Stukas bombed, the wall was built on stage and giant Mother and Teacher puppets performed. Gerald Scarfe animations played. A great spectacle. Outstanding tracks include "In The Flesh", "Another Brick In The Wall", "Goodbye Blue Sky", "Mother", "Comfortably Numb" and "Run Like Hell"
Another what has been described as essentially a Roger Waters solo album, "The Final Cut" was released before he left. 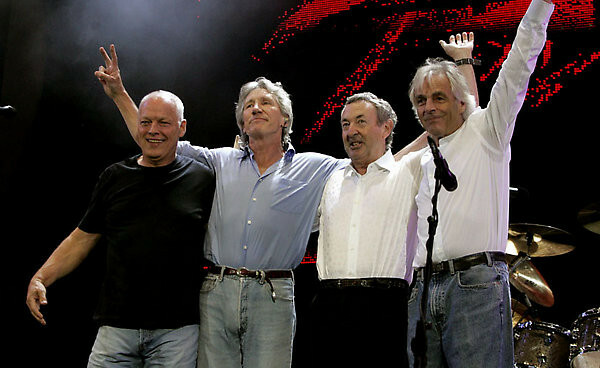 David Gilmour toured with Nick Mason and Richard Wright as Pink Floyd and a couple more albums "A Momentary Lapse Of Reason" and "The Division Bell" released. I saw Pink Floyd in this guise in 1990 at Knebworth, when they played a charity benefit (with Cliff Richard & The Shadows, Dire Straits, Elton John, Eric Clapton, Genesis, Paul McCartney, Pink Floyd, Robert Plant & Jimmy Page, Status Quo and Tears for Fears). I believe that Roger Walters sued the other band members, as seems to be the modern way. Richard Wright left, and re-joined as a paid musician. Then out of the blue it was announced that Pink Floyd would play together (as it happened for the last time - Richard Wright died in 2008) at the Live8 concert in 2005. They played a great 24 minute set and triumphed. "This is for the people who can't be here - especially Syd."